When you play your best quarter of basketball in the second half of a game and you still find a way to fall short, you wonder what the next couple of weeks will have in store for the Wizards. While they are on the outside looking in at this point it wasn’t a lack of effort tonight, it was the red hot shooting by the Nuggets that caught the Wizards on the other side of a 113-108 loss. 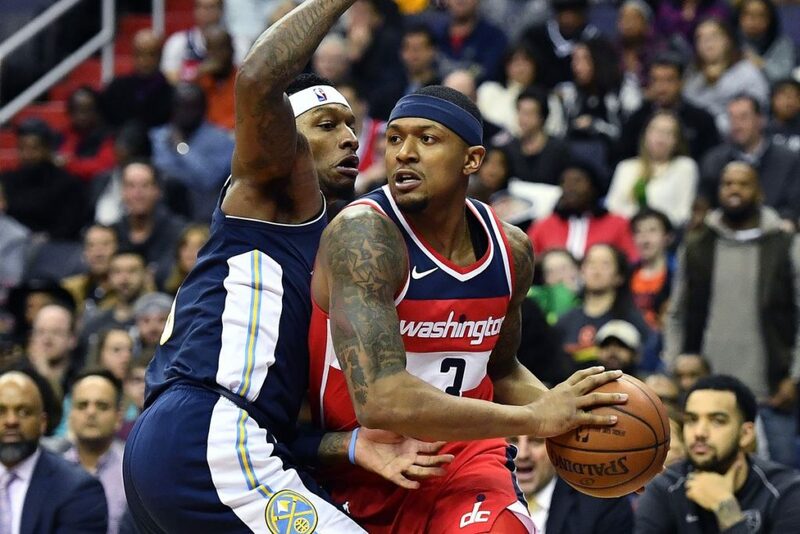 The Nuggets used scoring spurts during the first half to take double digit leads more than three times in the second quarter which made it difficult for Bradley Beal to get it done in the final minutes. Beal finished the game with 25 points to lead the Wizards. Denver got some clutch play late in the game by Will Barton, who hit a huge three pointer with a little over a minute remaining in the game. Washington could not stop Denver from long range tonight. They hit on 14 for 30 from long range.